The Deer Park – our festival home – sits just a couple of miles outside of historic Tunbridge Wells. To have Tunbridge Wells on our doorstep, means so much to us. As a town, it embodies everything we’re about: what with it having a thriving creative culture, a strong sense of community, and importantly – a love of live music. And central to it all, is The Forum. 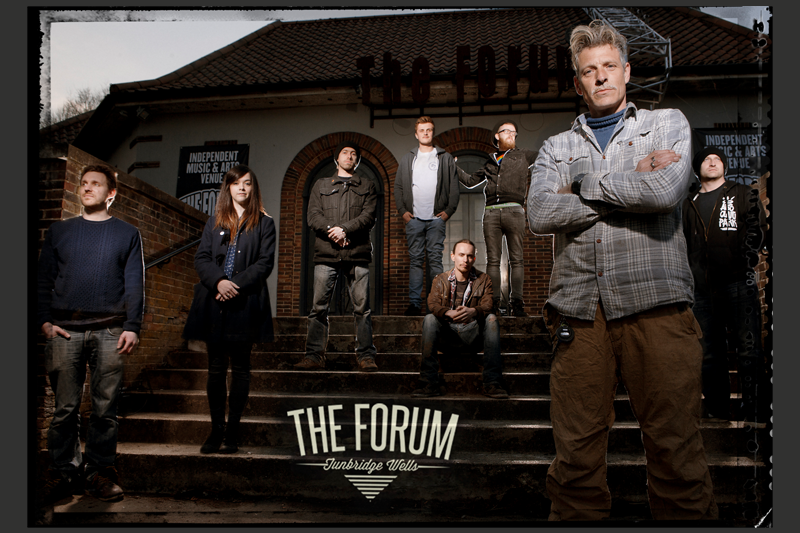 Since its launch in 1993, The Forum has gained huge respect and become a resolute authority as a small, 250 capacity, independent music venue. This year marks an important one as the venue celebrates its 25th anniversary. In that time, the club has hosted tens of thousands of new and emerging artists, musicians and bands, some of which have gone on to huge acclaim. Oasis, Coldplay, and Adele performed on their early tours, with more recent examples being Rag ‘n’ Bone Man, Slaves and Wolf Alice. It’s obvious to all, The Forum knows how to put on a show and create a great atmosphere. But what you might not know about The Forum, is that since 2015 it’s operated as a Community Interest Company (CIC). Acting as a social enterprise with the twin aims of supporting young musicians and improving the musical culture of the town and the surrounding area. The three amigos and driving force behind it are Richard Simm, Jason Dormon and Mark Davyd who make absolutely sure, along with their team, to keep loyal fans happy whilst also genuinely engaging this unique place as a community asset. Few are aware that this is a voluntary led mission, with all money made purely reinvested back into The Forum for the benefit of the community. A much-loved lasting legacy for the area and noble motivations mean that these guys continue to deliver a high-quality programme of gigs and events to keep this place well and truly on the map.